We were on holiday near Kirkmichael, a beautiful and interesting village in Perth and Kinross and on the River Ardle. 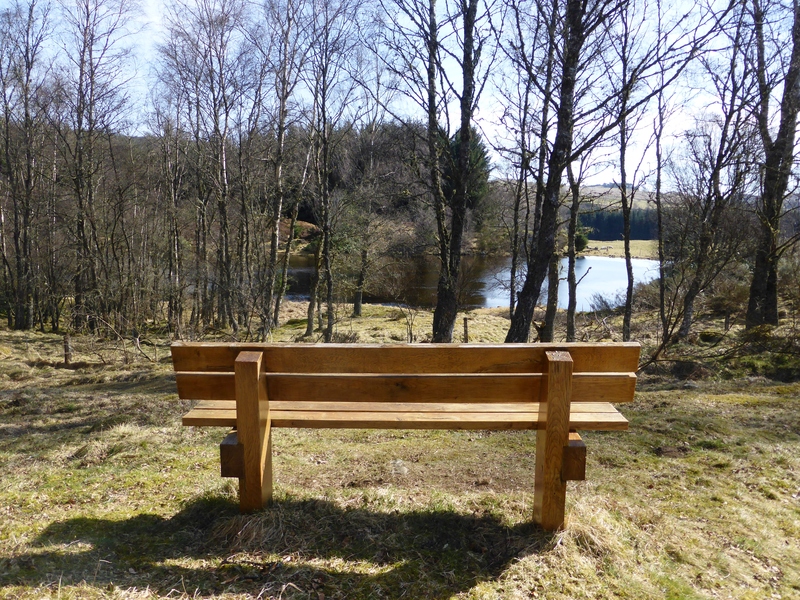 It was one of those good-to-be-alive sort of mornings and we were out for a walk enjoying the fresh air and birdsong when we found this bench by the Cateran Trail, with a view of a lochan through the trees. It is true that none of us are just one-dimensional characters and on this memorial bench I particularly liked the sense of a man who was different things to different people; a father, friend and runner. 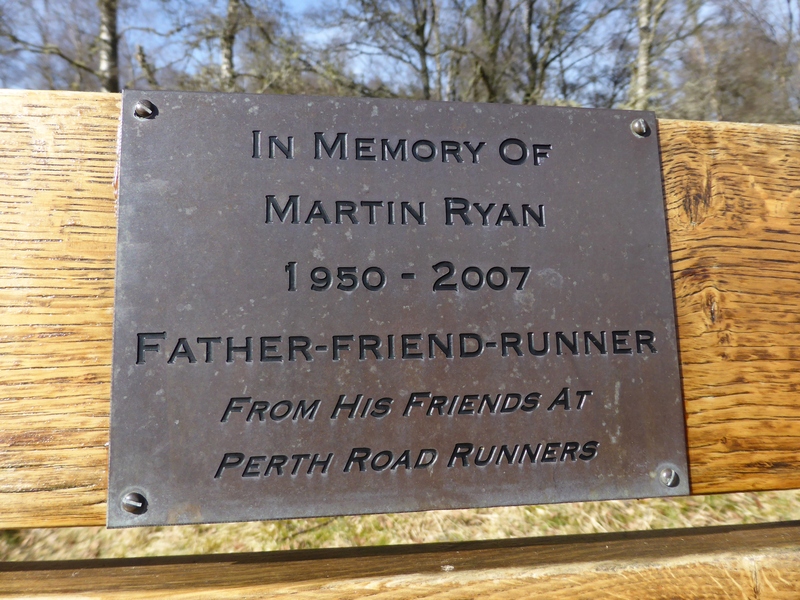 The Perth Road Runners clearly thought highly of Martin Ryan, not just because they raised money for a memorial bench. They also have a moving obituary to him on their website that gives a picture of a dedicated and talented runner.